I just finished reading the book The Shallows: What the Internet is doing to Our Brains by Nicholas Carr. He articulated brilliantly what I have been suspecting. The Internet, in addition to being a great resource for research, is also an agent of major distraction and is changing the way we think. Jumping from link to link and consuming ever-smaller bites of information is actually rewiring our brains and interfering with our ability to move thoughts from working to long term memory. It is making us shallow thinkers. I’ll be posting a review of that book later this week, but for now, I was to discuss my latest project. I’m going on a Distraction Diet. For the month of August, I am going to stay off Facebook and Twitter*, as I believe those are the two sites that are doing the most damage to my thinking. The design, whether conscious or not, exploits our primitive neural pathways to value current data above all else. Anyone that has spent any time on these sites knows that the latest status update or Tweet is what our brains crave, but are almost always worthless bits of information. Instead of recognizing this, we keep pressing links and buttons like mice in a laboratory. * Post announcements from my websites are automatically posted to Twitter. That will continue because it does not require me to log onto Twitter. Haven’t we all done this before? We get to a point where the distractions in our life become overwhelming and we make a stand. Starting on this date, I am going to stop <some distraction>. I’ve abandoned Twitter for being a waste of time only to surface on Facebook and then back on Twitter. When I stopped reading political news, I became a financial news junkie. The distractions remain, only the names change. 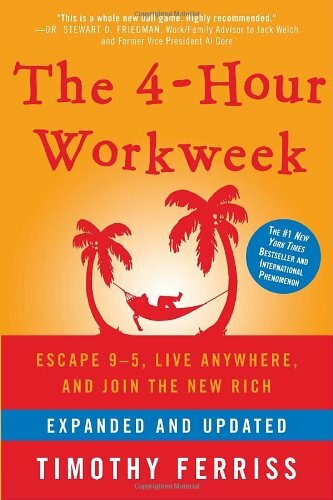 In the book The 4-Hour Workweek, author Tim Ferriss teaches the readers to DEFINE their goals first and then ELIMINATE the noise. An error I have continually made is to ELIMINATE the distractions before defining the goals. My experience tells me that this just creates a vacuum for new distractions to fill the void. This time I am trying something different. Instead of setting some huge major goal, I have defined two achievable goals to work on for the month of August that can be broken down into defined chunks. These goals that I label as achievable will only be achievable if I can greatly reduce the distractions. I don’t have everything thought out on this Distraction Diet. I’ll be tweaking as I go. To keep me off of distracting sites, I’ve installed HostsMan on both my computers. Any request to Facebook or Twitter is blocked. I’ll be adding more sites as I go. MAS, I applaud your distraction diet and couldn’t agree more. We internet junkies are becoming like rats in a lab waiting for that next food-pellet reward from twitter/facebook/blog-post/whatever. My suggestion is to travel a bit or at least get outside a lot more. Seek out a new group or attend some lectures. Watch some movies that you’ve been intending to see but haven’t. Only allow yourself online to blog-post or check e-mail after you’ve done X hours of these activities. Setting up these sort of mental ‘rules’ helps me regulate my computer time. @Dhammy – I did notice when I lived in Queen Anne, I would take more frequent breaks away from the computer. It really helped my thinking. This morning I noticed the similarities between exercise and being online. In both cases, a little directed exposure is enough to stimulate growth. However, in our “more is better” culture, we end up destroying the benefits on each by over exposure or lost focus. @TigerAl – You may be an exception and a good exception at that. The design of web content has changed over the past 15 years. Going from mimicking magazines, with longer static content to what we have today, which is the Times Square dynamic design. It impacts what gets our attention, how we read (or skim) content and ultimately how we write (for search engines). I’ll discuss more when I review The Shallows.